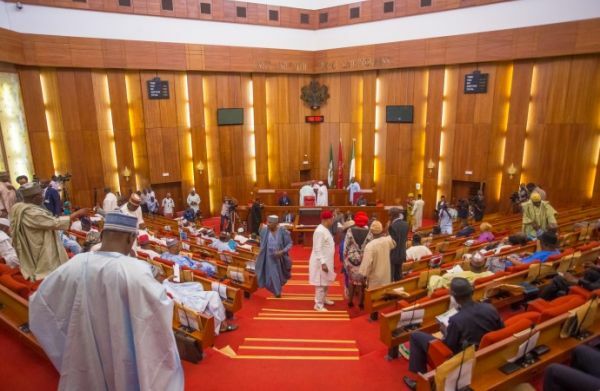 The Senate on Tuesday in Abuja passed two bills establishing Federal polytechnics in Aba, Abia and Silame, Sokoto State. This followed consideration of reports of the Senate Committee on Tertiary Institutions and TETFUND at plenary. Presenting the reports, the Chairman of the Committee, Sen. Jibrin Barau, said the bills scaled second reading on different dates and were referred to the committee for further legislative action. According to him, public hearings were held on the bills and the committee drafted its report based on the positive outcome of the public hearings. “The committee and participants agreed with the intention of the bills to establish the polytechnics to facilitate technical education to accommodate those who are unable to gain admission into higher institutions,” he said. The News Agency of Nigeria (NAN) reports that the Bill for an Act to Establish the Federal Polytechnic Aba, Abia, sponsored by Sen. Theordore Orji (PDP-Abia)scaled second reading on Feb. 28. The bill seeking the Establishment of the Federal Polytechnic Silame, Sokoto State, sponsored by Sen.
Aliyu Wamakko (Sokoto APC), scaled second reading on Nov. 1, 2017. The senate also passed the Bill Establishing Federal College of Education Gumel, sponsored by Sen. Abdullahi Gumel. It further passed the bill establishing Federal College of Education Sabon Birni, Sokoto State, sponsored by Sen. Ibrahim Gobir (APC-Sokoto). In his remarks, the President of the Senate, Dr Bukola Saraki, put the bills to voice vote and they were unanimously adopted by the lawmakers. He congratulated the sponsors of the bills for their initiatives.